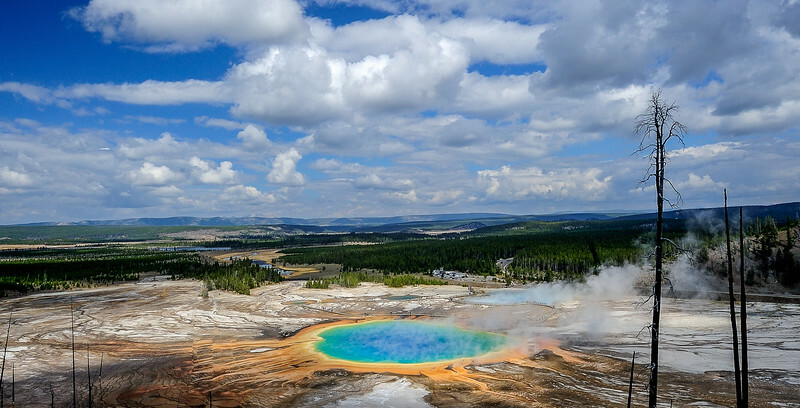 Grand view of this beautiful geyser in yellowstone national park. 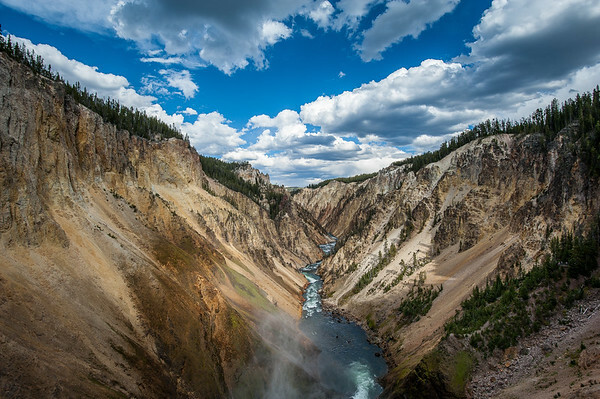 Beautiful clouds over grand canyon of yellowstone. 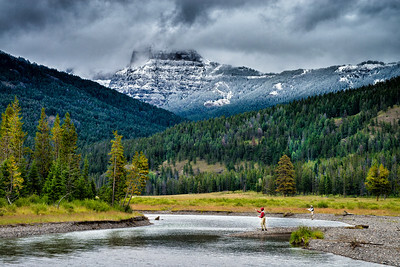 Two fisherman at yellowstone national park. 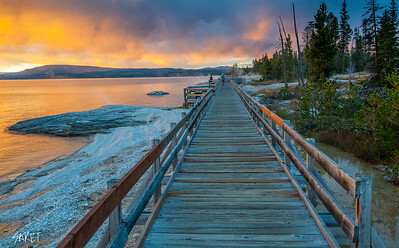 Sunset panorama at mormon row in grand tetons. Beautiful fall colors are lit by morning light at oxbow bend. 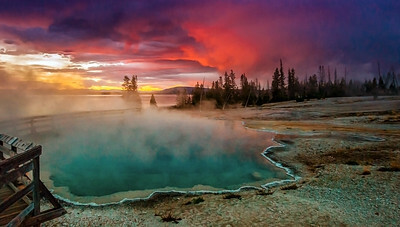 Beautiful sunrise at West thumb geyser in yellowstone national park. Beautiful sunrise at west thumb lake. 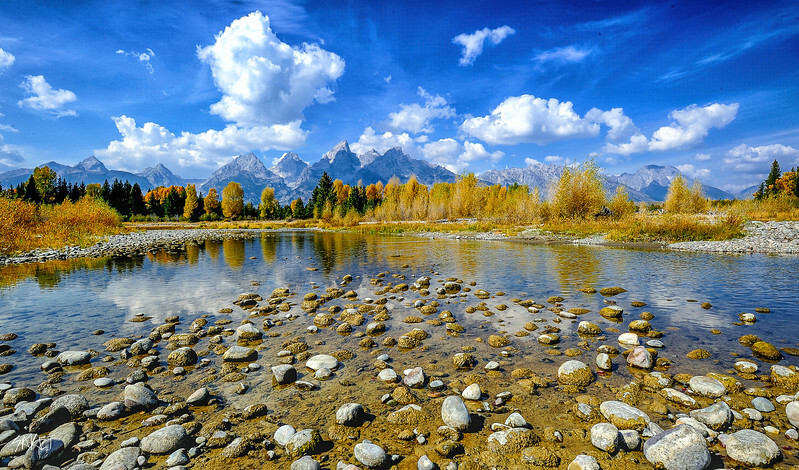 Fall colors at grand tetons national park.